How payment split will work among vendor and store owner in Magento2 Marketplace ? Marketplace Multi-Vendor Module for Magento2 will support all kinds of payment methods which are supported by the default Magento2. After the approval or auto approval of the product, all the product added by vendor/seller will be the part of the global catalog of Magento2, so the payment method will work as it works for the normal Magento2. The payment from the customer will go to the store owner ( admin ) and after keeping the commission, the admin will manually transfer the Seller’s share into their Account. 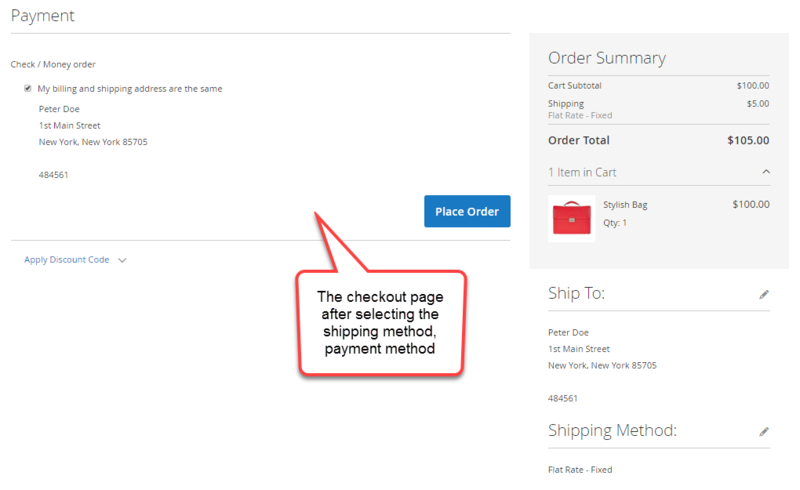 Note : Due to the limitation of split payment API for Magento 2 Marketplace Mercadopago Connect Payment Gateway, you have to install Split Cart Marketplace Add-on as well. The customer will order the product and select the shipping address, payment gateway, shipping method. In the case of Default Payment Gateway, only the transaction part is managed by the admin from the admin panel. The admin has to pay the seller manually only. 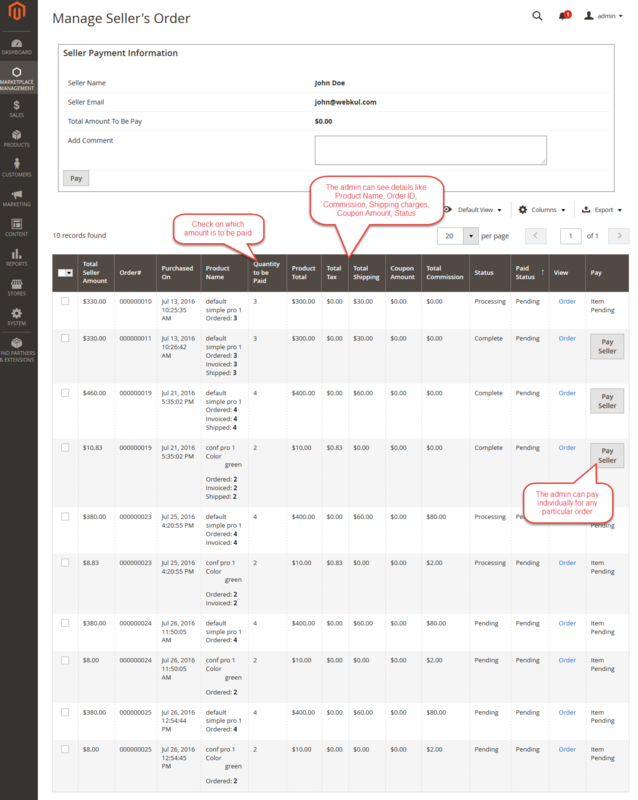 To pay ( notify when the customer uses Default payment gateway) the seller, the admin will go to Marketplace Management-> Manage Sellers and from the list of Sellers you can select the seller by clicking on the “Order” under the Order column in the seller row line as shown below. When the admin will click on “Order” then all the orders of that seller will be displayed. Admin can also see amount left to be paid to the seller ( notifying the seller that the admin has done the payment for that particular order ).